The world is changing and Mobile Commerce is changing the way that customers engage with it. Today, more people use a mobile device to connect to the Internet to search for things they are interested in than any other method. Mobile apps have become a critical component of the small business marketing strategy for businesses that thrive on repeat customer traffic. Business leaders today are saying that if you don’t have a mobile strategy, you don’t have a future strategy. Can you remember when they said that you need to have a website to be relevant? Today you need much more than that. Many business websites today don’t work properly on a mobile device and small businesses are slower to respond to technology trends. Some businesses still don’t have an active presence on social media and don’t rank well in local searches on the web. 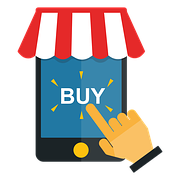 Mobile commerce isn’t a new trend, it’s the way that customers in the 21st century consume information and communicate, Google has changed their search algorithm to give mobile optimized websites much higher rankings than websites that aren’t optimized. They warned everyone in advance and many ignored the warning. Furthermore, they give additional preference to sites that are associated with an app available in one or more app stores. If you want to improve your online and mobile presence, Apptekz offers a mobile marketing solution that will make your business stand out against the competition. Today Apptekz helps small businesses participate in this newly transformed business engagement model by building mobile apps that run on today’s mobile devices. Now your business and what it offers can be accessible to all of your customers every waking hour of the day. Wouldn’t you like to be able to let all of your customers know what special offers you have? Well, now you can! You can send free push notification messages directly to the mobile app on their phone. Bring more business to your store, increase customer loyalty and engagement, and grow your revenue. Having an app can reduce or eliminate advertising costs too! Find out today how to get your Mobile App and start engaging with your customers like never before.